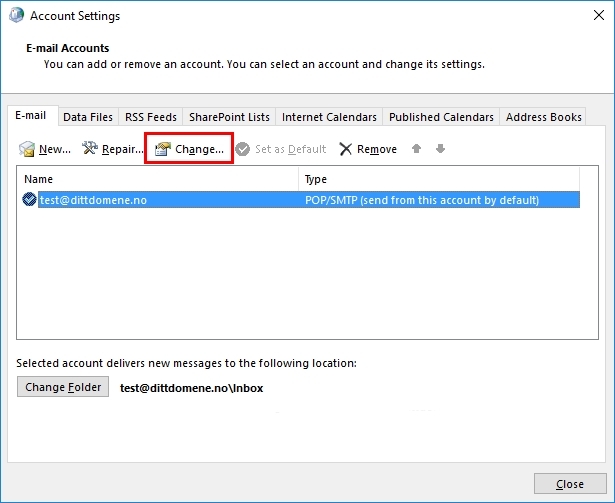 This guide shows you how to edit existing POP account settings in Outlook 2016. 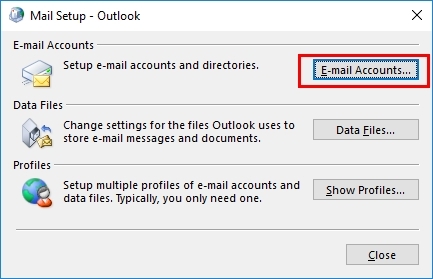 Obs: Outlook must be closed before you begin to edit your email account. 1. Open the control panel in Windows. If you don’t find it, push the Windows button on your keyboard (between CTRL and ALT) and write «control panel» in the search box. 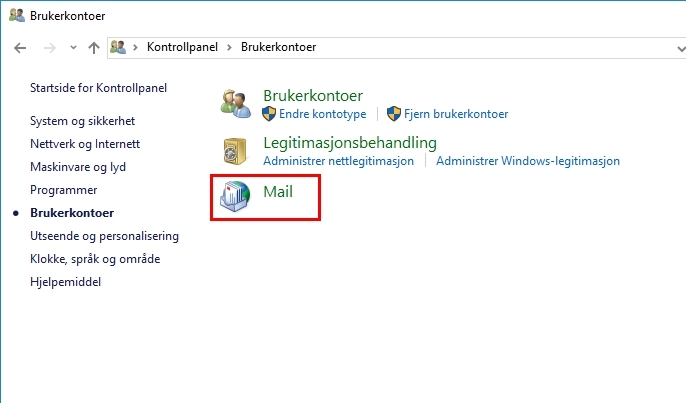 Select «User accounts» in the control panel and select «Mail». 2. Click on «E-mail Accounts». 4. 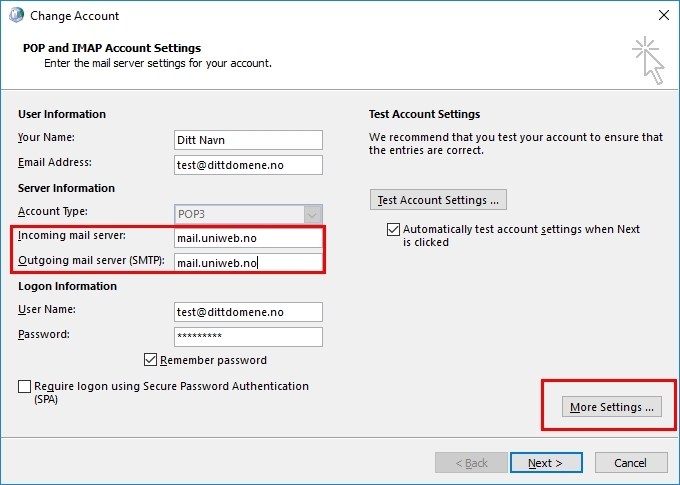 Write mail.uniweb.se as incoming mail server and smtp.uniweb.se as outgoing mail server. Click on «More Settings». 5. 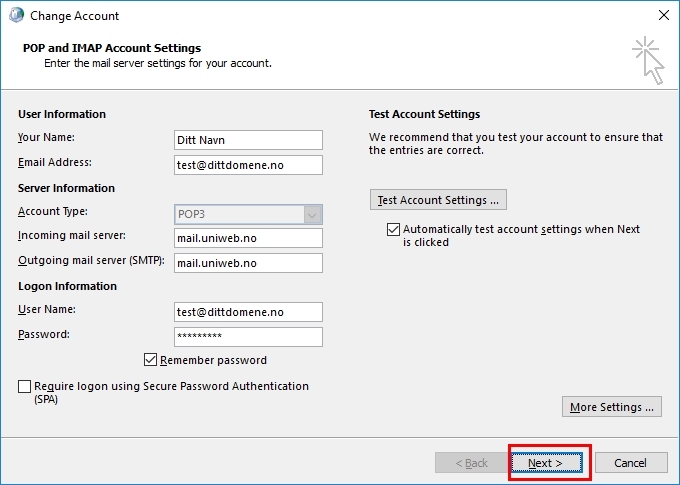 Select the tab «Outgoing Server» and check «My outgoing server (SMTP) requires authentication». 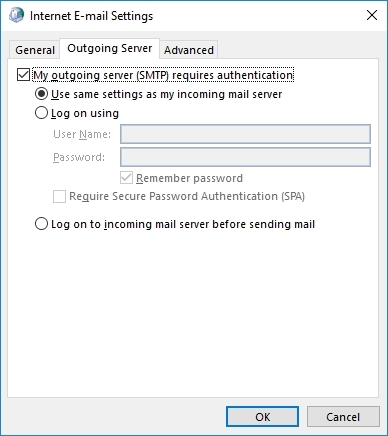 Select «Use same settings as my incoming mail server». Click on «Advanced». 6. 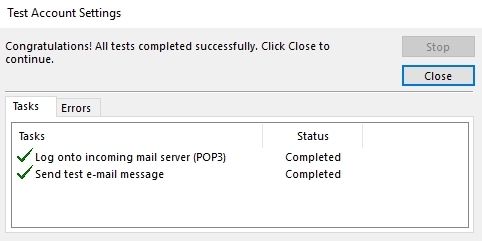 Write port number 995 for incoming server and port number 465 for outgoing. Check «This server requires an encrypted connection (SSL)». 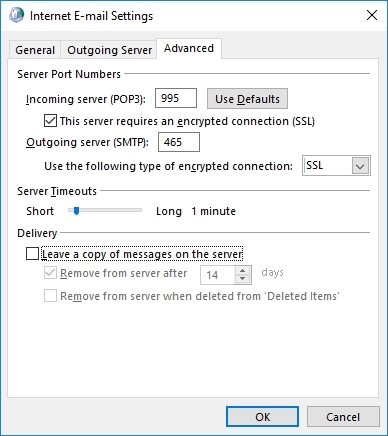 Select SSL for outgoing server too. Click «OK». 8. 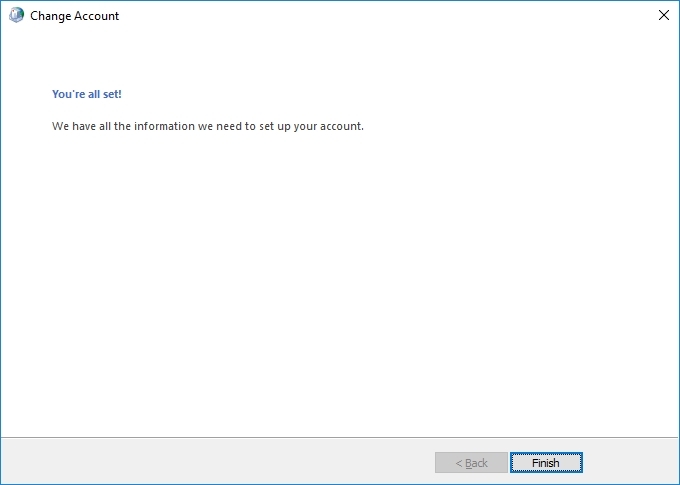 The account settings will now automatically be tested on our servers. Click «Close» when the test has finished. 10. Click «Close» to close the settings window. 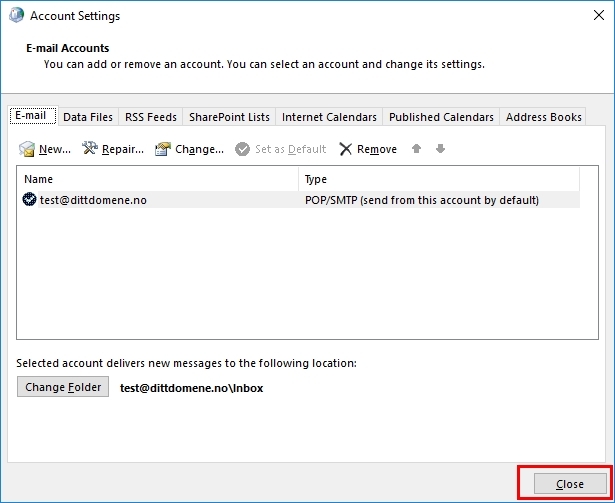 You may now open Outlook and send/read emails.